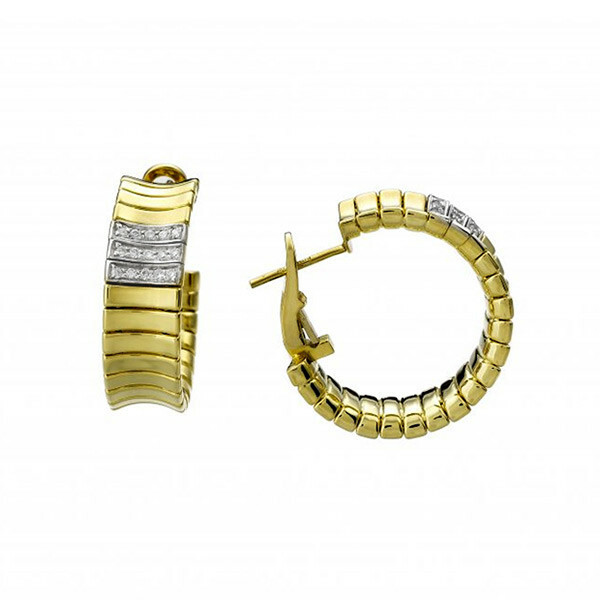 Chimento's Supreme collection gives you this stunning set of earrings. Curved gold bars join together to form the hoop with a stud post, and three diamond-encrusted, 18kt white gold bars give these earrings a gorgeous two-toned beauty. When your look demands fabulous, try these Chimento earrings.